On my John Muir Trail trip we were treated to some off-roading in a cool mid 80’s Toyota Land Cruiser. It was all rickety and falling to pieces, and a notable experience of the hike. 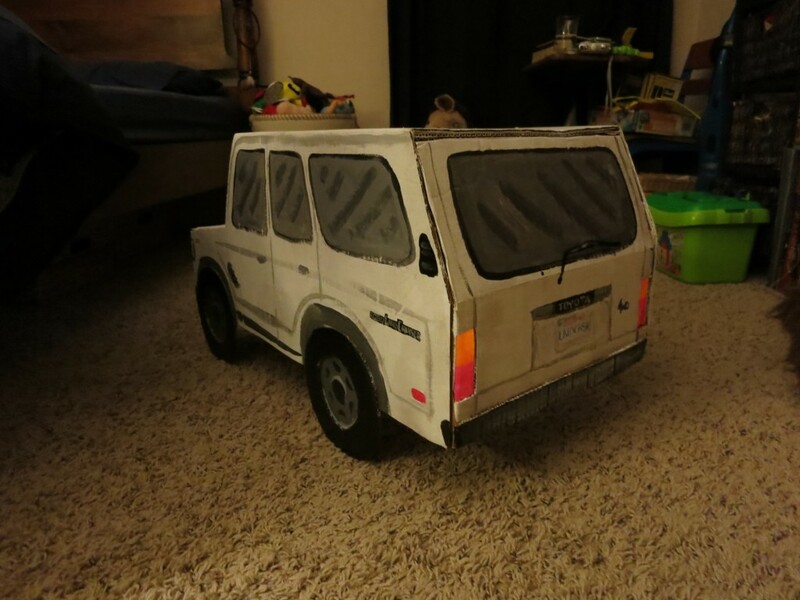 We have been saving up for a couple of years for some kind of camping / project car and were originally planning on finding a late 80’s VW Vanagon with the Westfalia camper conversion. After my ride to the Vermillion Valley Resort I was inspired and within a week had scouted craigslist and found a beauty. 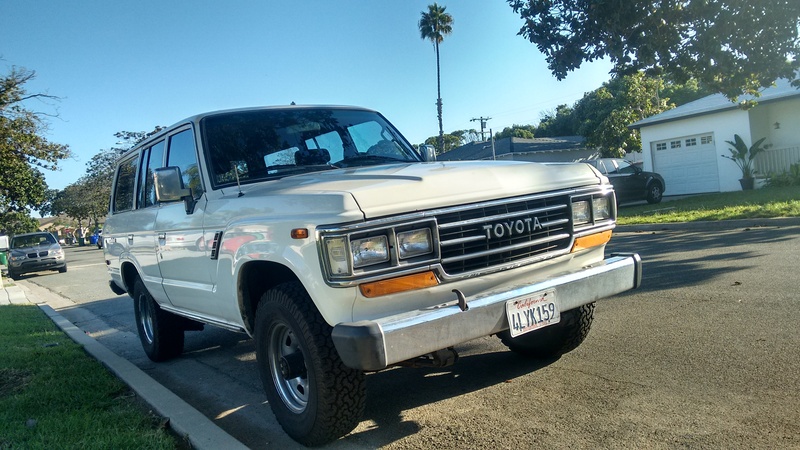 I opted for a 1988 FJ62 for its fuel injection and automatic transmission. 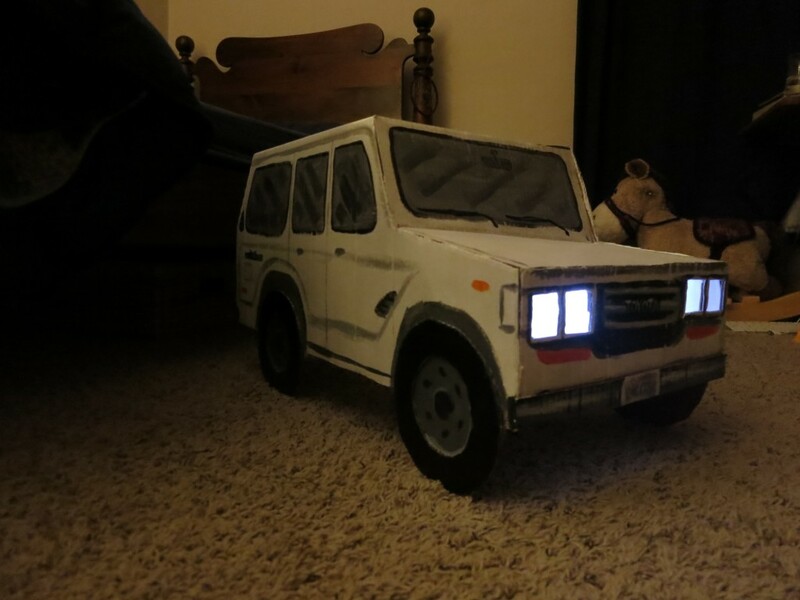 Eric was also so inspired that he bought a Land Cruiser too (a later model). Also within a week of returning! It has a lot of body rust, 335,000 miles on the clock and tons of rattles. And heaps of personality. 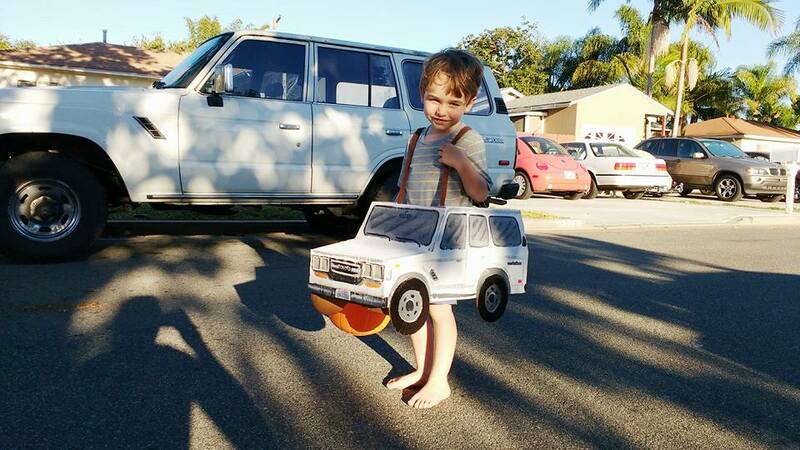 It’s been a huge hit in the family and has even inspired this years’ Halloween costume. Headlamps work! They are hiking headlights.